Opposition's presidential nominee Meira Kumar on Friday expressed her happiness at being nominated, while stating that the poll is a fight of ideology. "A very important decision was taken yesterday. They have made me the nominee. I am extremely happy that this took place with everyone's consent. This election is a fight of ideology. The 17 parties that have come forward have immense faith on their decision. I will start my campaigning based on this decision," Kumar told ANI. Expressing joy over the fact that she was unanimously selected as Opposition's Presidential nominee by 17 political parties, Kumar said they are deciding on the date of filing the nomination. Meanwhile, National Democratic Alliance (NDA) presidential nominee Ram Nath Kovind filed his nomination. He was accompanied by Prime Minister Narendra Modi on his trip to Parliament House to file his papers. 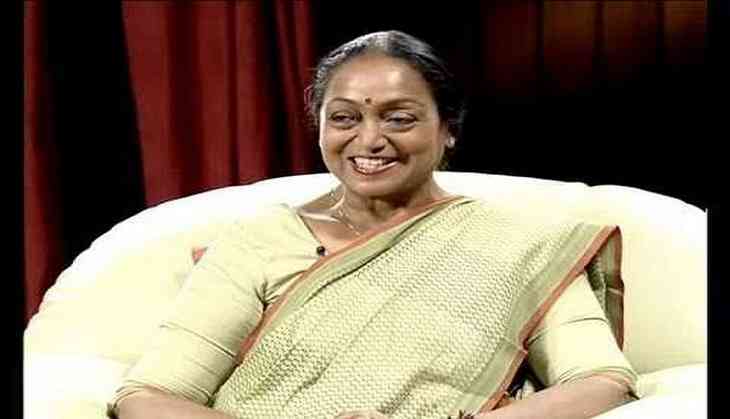 Former Lok Sabha speaker Meira Kumar was yesterday announced as the Opposition' Presidential nominee.